At last, the weather is warming up and nature is abloom, gradually coaxing us out of the comfort of our homes. 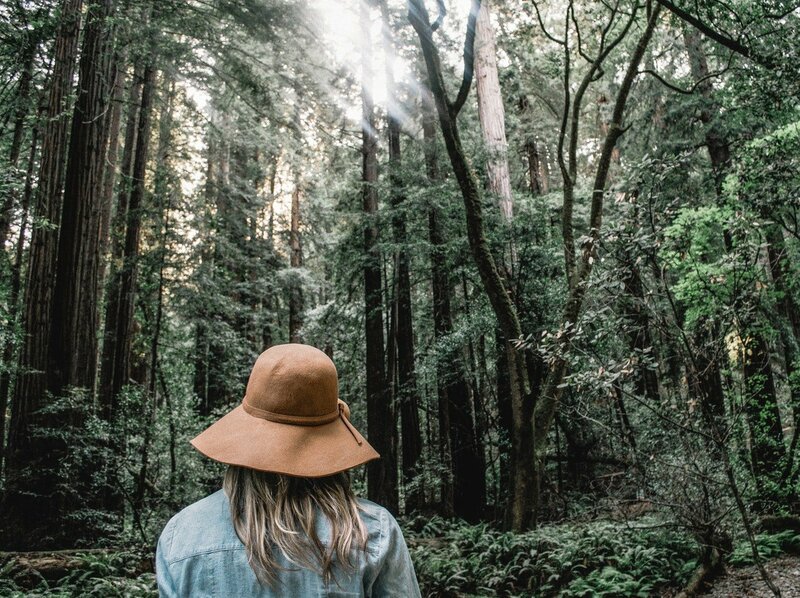 With self-care still a dominant notion in our society, we predict the return of the trend ‘forest bathing’. 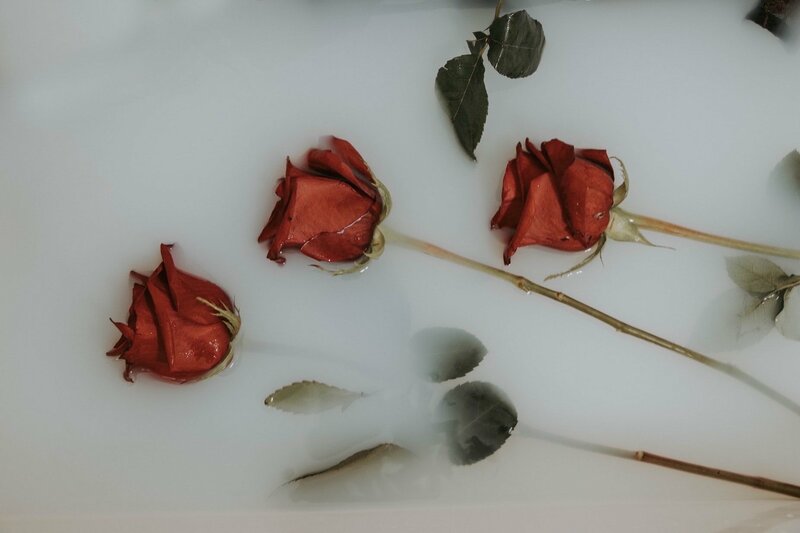 If you missed it the first time, let us enlighten you to the workings of this trend, how you can implicate it, and why we’re devoted to the bathing concept in every sense of the term. The movement was originally lifted from the Japanese; a therapy known as ‘shinrin-yoku’. The theory suggests that by immersing yourself in a forest setting, there will be great advantages to your health and wellbeing. With scientific proof of the benefits such as slowing down heart rates, reducing blood-pressure, improving sleep, it is no surprise that the newly coined term of forest bathing has had a surge of popularity. 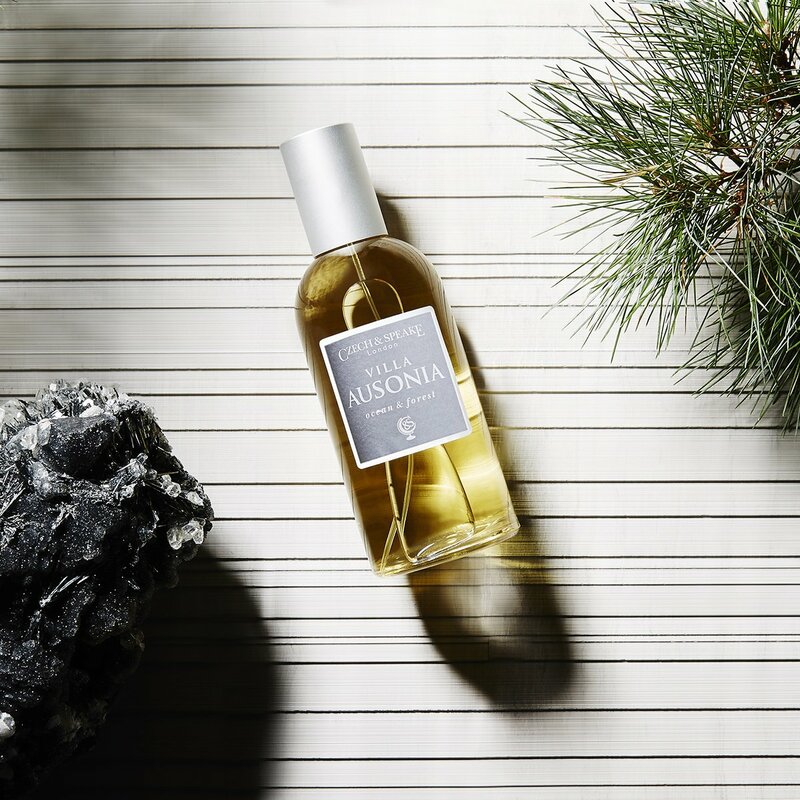 Transport yourself to a rural setting with our Villa Ausonia fragrance, which captures the lingering intoxicating scent of distant pine forests. Bathing by definition refers to the submersion of the body in water for cleansing and for medical treatment. If you delve into history you’ll discover the importance of bathing across cultures, and there are no surprises that bathing holds great significance in Japanese culture; the primary purpose is relaxation as apposed to the function for hygiene. Other cultures have been truly dedicated the idea of bathing as a form of healing, such as the ‘ayurvedic’ bath in India in which the body is cleansed in water infused with medical plants and essential oils. At Czech and Speake, our founder recognised the power and importance of the the ritual of bathing which inspired Frank Sawkins to develop his luxury bathing concept; something that is often lost in a contemporary fast paced society, where no one has a moment to pause and bathrooms are built solely for performance. We’re passionate about bathing, both in the traditional sense, and theoretical, modern interpretations of term such as our current favourite; forest bathing. 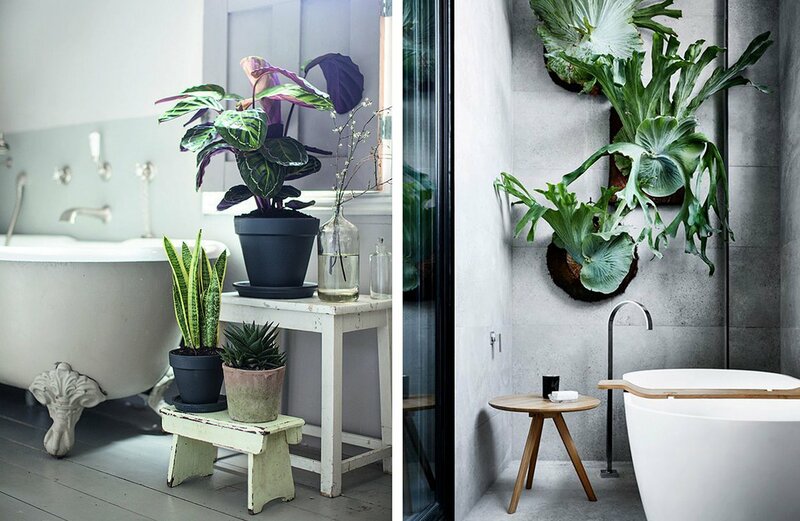 Why not fill your bathroom with plants, herbs and blooms – if you live in an urban environment, venturing to a forest to bathe would be simply impossible to fit into your daily routine. But whether or not you live somewhere green, it will only benefit you more to be surrounded in your home due to their ability to purify the air and relieve stress and anxiety, heightening the already relaxing power of the bath. Choose Air Plants and Ferns, as these plants will survive in low light and thrive with moisture. Taking inspiration from the India’s ayurvedic bath, infuse your bath water with flower buds, leaves, herbs and oils. You can place these in a muslin bag of convenience. As well as the pleasure of intense natural scent the plants will provide, their properties will sooth muscles, reduce stress and even draw out infection. You may use chamomile, Eucalyptus, lavender, rosemary, rosebuds – the list is endless. Unlike the majority of man-made bath products available, our bath oils are made from a high concentration of fine essential oils, and therefore will act as an effective remedy. Many of us may not have the luxury of owning a bath, or perhaps do but the space is built for function and is so far displaced from comfort or nature. Across the globe it is possible to bathe in natural hot springs, one of the most famous is ‘The Blue Lagoon’ in Iceland, a geothermal spa with naturally steaming water. 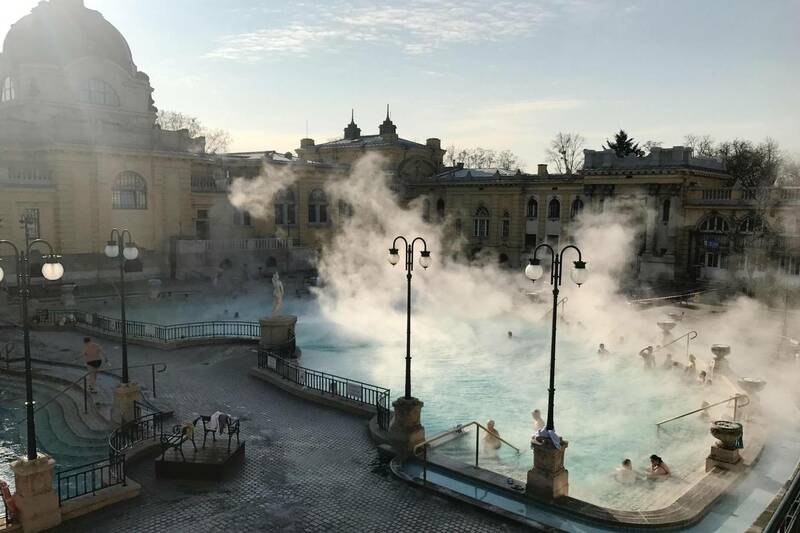 Others include Szechenyi Baths in Budapest, Conundrum Hot Springs, Colorado, United States and the Thermae Bath Spa here in England. Unlike the others, this may have to be a more occasional retreat, but would be the ultimate forest bathing experience. If you would like to bring nature to your bath, try incorporating our Oxford & Cambridge Bath Oil with high quality, pure lavender. You can shop our full range of bath oils by clicking here.